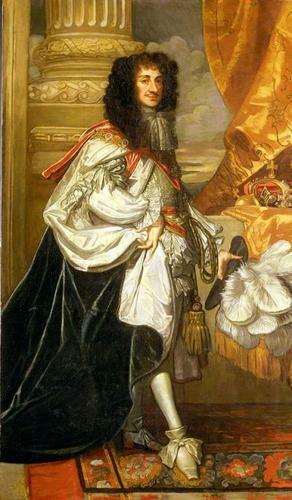 King Charles II of England. Also known as "The Merry Monarch". Portrait painted by Sir Peter Lely, c 1670.. Wallpaper and background images in the Kings and Queens club tagged: king charlesii england royalty monarchy. This Kings and Queens photo might contain surcoat, kirtle, and drawing room.